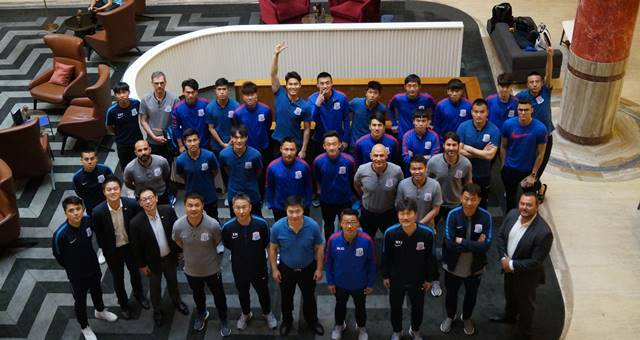 The Shanghai Greenland Shenhua Football Club will call Primus Hotel Sydney home tonight ahead of their game against Sydney F.C at Allianz Stadium. Greenland Group — the owners of Primus Hotel — purchased Shanghai Greenland Shenhua Football Club January 2014, strengthening its commitment to sport in China and their contribution to the sports industry as a whole. The football team is led by Head Coach, Wu Jingui, and captained by Columbian born, Giovanni Moreno. Australian Socceroo’s great, Tim Cahill also previously played in the Shenhua team. The team is travelling to Sydney shortly after their draw on 3rd April against Japan’s Kashima Antlers in the AFC Champions League and most recently their draw against Guangzhou Evergrande F.C. last Friday. In addition to Moreno, Xu Yougang, Liu Ruofan, Cong Zhen, Li Xiaoming, Lu Pin, Chen Hao, Li Jianbin (after recovering from injury) Mao Jianqing, Zhu Jianrong, Wang Wei, Zhang Hao, Wang Hao, Sun Shilin, Qiu Shengji, Wang Lin, Tao Jin and Sun Kai have travelled to Sydney for the match. The Shanghai Greenland Shenhua Football Club will play Sydney F.C. in the AFC Champions League at Sydney Football Club at 8:00pm tonight (17 Apr 2018).